An Executive MBA program is a one-of-a-kind experience full of unforgettable moments. Some of our former participants have reflected on various facets of the program in their testimonials. Jens Grüneklee, 47, Director Investment Management at a financial services provider in Luxembourg, is currently completing the ESSEC & MANNHEIM Executive MBA program at Mannheim Business School. “2017 was my breaking point. My contract as director of a Munich-based financial services provider had come to an end. I knew I didn’t want to extend it. I had gained a lot of professional experience and knowledge throughout my career by my mid-40s. However, this was purely practical experience—sometimes also due to an element of intuition, but only marginally due to specialist knowledge. I had last studied 15 years earlier. I lacked the basics, the theory, which is critical when you’re up against younger, well-trained people. My choice of business school wasn’t primarily based on the rankings, but rather on what suited me and my interests. The networking opportunities were also one of my priorities. Since I’ve always been a committed Francophile, I looked for a program that somehow involved France. My wife is French, and we live and work in Luxembourg. So I booked an international program at Mannheim Business School, which is delivered entirely in English, with half the courses in Mannheim and the other half in Paris. Eighteen intensive months and 46 participants, each with their own specific choices, from whom I could benefit. Although I’m one of the older ones at 47, the age difference in the group is not so big. The majority of the us are approaching 40, which I find very congenial. I would have certainly benefited less from a younger group. As it is, we all have more life and work experience. I find learning easy. This is partly due to the fact that the knowledge transfer is different from that at universities: less bookishness and more discussion, teamwork and case studies. Since this is a sheltered space, I never have the feeling that anyone here needs to assert their alpha status. Nobody has the attitude: ‘I’m the top dog here. I know how things work.’ We all want to learn and are consequently open to new experiences. I’ve graduated with Executive MBA degrees from two renowned business schools: What a great feeling! 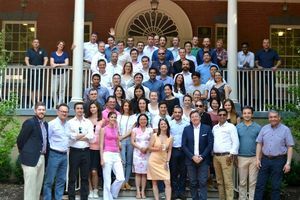 Eighteen months ago, a group of 49 people from 24 countries and different industries and businesses started this EMBA program. We all had different expectations and various reasons for starting. The program’s management told us upfront: “It will be a transformational experience – you will not be the same person that started this program. It will be tough, as business life goes on, and most of you have families with (up to 4!!) kids. So, the key to success is optimization and effectiveness, including support from work and especially from your families.” I didn’t realize what they meant. Now I know! At least once a month, our studies brought us together in Paris or Mannheim for four to six days, to attend the required, mandatory courses. On top of this, we had a couple of electives and international study trips to Washington and Asia, including Singapore, Seoul, and Shanghai. Since this EMBA is a high-level program, more than one pre- and post-assignment per course frequently had to be delivered. We also had to work on multiple projects such as the social class project and the strategy project. We learned a lot: from economics, accounting, and finance, to entrepreneurship and geopolitics. As this program is in general management, we did not become experts in a particular field, unless we already were before. However, we are now able to connect the dots and get the big picture. The entire class with our fellow students on the presidential stairs at Georgetown University, Washington. At the core of the program is leadership. What a big and much-discussed word. For me, this is where the transformation started. I remember the first day with Prof. Kakabadse, who welcomed us with, “Most of you don’t want to be CEOs!” and the subsequent St. Cyr military leadership camp, when it became clear: These 18 months with these people will be interesting. It was an 18-month training camp, or perhaps a sandbox in which to get groups not only to work, but to deliver high-quality materials under time pressure. Almost all assignments and projects involved group work. MCT #1: It feels like a family. Now it’s done and dusted: We’ve delivered all assignments, the strategic projects have been judged, and our playgrounds for the world social class project have been funded. Welcome to Mannheim Palace to receive our degrees and throw our mortarboards, as tradition dictates. This feels so good! However, it is sad that I won’t meet all these very familiar people on a regular basis anymore, and that I won’t have any more courses to prepare me for the unexpected. “It is not an end, it is a beginning,” said Prof. Wüstemann in his graduation speech. He may be right. Now, it is about putting all we have learned in context and reality. The program has made me curious about the world, about opportunities, and especially about people. I am ready to be impressed, are you? Carolina has a background in engineering and has worked in the mining industry for more than 13 years. She has traveled the world and lived in the Indonesian jungle. She moved to Germany with her young family and after working freelance for a while, she decided to pursue an EMBA simultaneously with her husband. They have four children. Carolina is now fully back on track pursuing a senior management position in a conglomerate in Germany. As for my reasons to pursue an Executive MBA, I always give the same answer: It was the right thing to do and the right time for me. Let me elaborate now a little bit further. I found myself in the most pivotal years of my career after taking a career break to raise my children abroad. I looked to boost my capabilities and to enrich, broaden, and deepen my perspectives and skills in the realm of leadership and management. An MBA was also part of my long-term plan. I saw the ESSEC & MANNHEIM program as an eye-opening learning experience essential for my mid-career recalibration. I believed that being part of a world-class program at a number one business school in Germany and also one of the most international programs would surely enable me to pursue my goals. Therefore, stepping outside of my comfort zone seemed to be the way forward. Indeed, ESSEC & MANNHEIM EMBA program was the right thing to do! On the other hand, it was just the right time. Together with my professional needs, after preparing myself and my loved ones for the new challenges, I was willing and in a strategic position that enabled me to balance work and personal life while investing a large amount of my time into an MBA program to make this project succeed. However, developing three main activities simultaneously – working mother and student– was not easy. Inevitably, at some point in time problems arise. At times when the mess shows up I allocate my priorities and energy very consciously. Both perspective and balance are key. I am true to my values and I know my goes and no-goes very well. In this regard, my power sources play a role because I believe that we deserve to enjoy as much as possible. This mindset doesn’t only allow me to focus when challenges arise, but I would say that it is the basis when striving to achieve my goals. To start with, I believe that setting the right goals is a must. They must be both realistic and worthy. I invest significant time to look carefully at the initiatives I commit with: They must be part of my bigger picture, my long-term plan. Apart from that, I don’t have any secrets or shortcuts. I face my targets with a resolute mind, hard-working hands, and a hopeful heart. 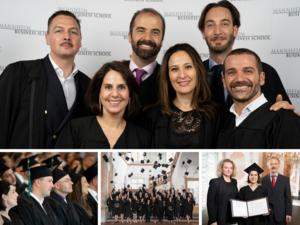 At the end of my ESSEC & MANNHEIM EMBA journey, I can tell that this experience enabled me to grow and develop skills above and beyond my original academic motives. Additionally, its international set-up also exposed me to significant diversity, which contributed to me getting the most from the experience. Coping with the workload and studying in parallel with both a professional and a family life was both challenging and enriching. However, the human factor is by far the biggest takeaway for me. During the program, an entire complex learning process, both as individuals and as a group, took place. Life itself is a journey; let’s try to make the best of it. Capitalize on your uniqueness and challenge yourself to become a better YOU. Our class decided to support a German NGO called Playgrounds for the World. This is a very small NGO with the ambitious goal to support children in much less privileged countries than Germany or France. They do so with playing and learning facilities. If possible, they utilize local staff, materials, and support to not only provide help but also establish the project in the respective community. Being ourselves a class and also “going back to learning”, we felt it was a wonderful idea to support young children on their way to a first education. It made and still makes sense to me that a class of dedicated learners should choose such a purpose for its Social Class Project. Playgrounds for the World’s slogan from Friedrich Schiller, “Der Mensch ist nur da ganz Mensch wo er spielt,” says it all. Knowing that the combination of family life, a new job, and the MBA would be quite demanding, and having built a community project in my home town that connects refugees and locals, I knew up front that time is not only a student’s but also a voluntary worker’s scarcest resource. This made the extraordinary personal engagement of some of our classmates even more valuable. In terms of concrete support, we helped Playgrounds for the World by collecting donations, both personal and corporate. Our class organized several very successful dinners and conferences in Paris and Mannheim: Either the ticket price itself was the donation or guests were asked to make donations for Playgrounds for the World during the event. With her job as creative director of a medium-sized business, Carolin is a role-model for women in our EMBA programs. She joined the ESSEC & MANNHEIM Executive MBA program last October. We have asked her if the program has met her expectations so far and how she manages to balance the workload of the program, the demands of her job and her private life. 1. What is your main motivation for an EMBA program? As creative director, my background is rather artistic. Currently, since I am moving to a higher position in my company, I want to boost my business-oriented competences along with my leadership skills. 2. Does it meet your expectations so far? It absolutely does. Now that almost half the program is over, I can say that I will leave with more than just a toolbox for my business. The professors are excellent at giving insights that are applicable to real life. Many assignments actually involve your own company. My study peers from the various industries help me consider things from a different perspective. There is a lot of mutual respect and exchange, and real team spirit! 3. How do you manage to juggle your job, the study workload, and private life? Well, it is tough but possible. Some decisions at work need to happen much faster. The study part is actually a very positive additional workload. Every time a module ends I am energetic rather than exhausted, as I am super keen to apply what I have just learnt to my job. To charge my batteries, I give myself short but clear breaks where I literally go offline. This helps me free my mind and get back on track very fast. 4. What advice would you give other women thinking of doing an EMBA? Do not find excuses to postpone your dream. Just go for it and challenge yourself. It is a great, intense journey together with a truly diverse and inspiring group of people willing to grow with you. You will not regret it! If you want to join one of our EMBA classes, we strongly encourage you to get in contact with us. MBS also offers special scholarships for women in business. Find out more about them here. "I chose ESSEC & MANNHEIM EMBA, because it is a program with a very good reputation. Moreover, the proportion of participants with different backgrounds and nationalities is higher than in comparable programs, which made the program even more attractive to me as an engineer. The EMBA has really boosted my career: After graduation, I was able to take on higher responsibilities in my job and increase my salary. 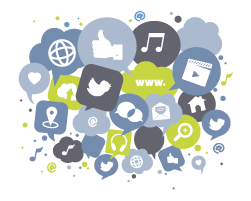 In addition, I can now count on a great network of fellow participants – now friends – who are always willing to help!" Holding a master’s degree in information technology, Fabricio felt a need for deeper knowledge in management and finance to help him in his day-to-day business. 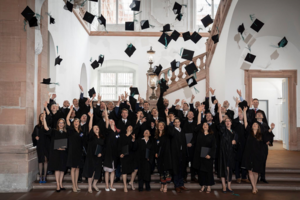 He also wanted to advance his career and qualify for taking on more responsibility – doing an EMBA at Mannheim Business School ticked all the boxes. Today, Fabricio is Director of International Sales at Bihl+Wiedemann GmbH, a highly specialized engineering firm based in Mannheim. Bihl+Wiedemann is among the leading providers of safety technology and electronic components for automation technology using AS-Interface with subsidiaries in Turkey, Denmark, USA, and China as well as international sales partners around the world. With its residencies in Europe, North America and Asia, the program met an important requirement for Simon: an international reach both in terms of participants and reputation. 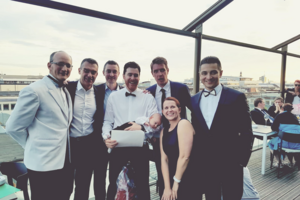 Simon feels that the EMBA equipped him with the skill set to have a more global and broad approach when executing projects or developing technical solutions. Simon also strongly values the focus on leadership in the program. Besides classes, coachings and workshops, he considers his class mates a rich source for improving his leadership skills. Simon currently works for a globally operating engineering company. He leads a department involved in the preparation of technical proposals for projects worldwide. Dr. Sandra Schug started the ESSEC & MANNHEIM Executive MBA program in April 2010 - only one day after she found out that she was about to become a mother. Facing the challenges of an international program with stays abroad and a tight schedule of courses she was able to complete the program on time and at the top of her class - while being pregnant and later with a newborn child. Sandra Schug, a banker with a doctorate in molecular virology based in Frankfurt, knows what she wants and is out to get it. She started the ESSEC & MANNHEIM Executive MBA program in April 2010 - only one day after she found out that she was about to become a mother. Facing the challenges of an international program with stays abroad and a tight schedule of courses she was able to complete the program on time and at the top of her class - while being pregnant and later with a newborn child. Sandra Schug is convinced: "Advancing your professional career and having children must be possible in today’s time" and she is proving her point daily at the headquarters of Merck Group, where she accepted a position as Inhouse Consultant upon graduation in 2011. Her biggest take-away from the ESSEC & MANNHEIM Executive MBA program: "Don’t ever wait for the "right" circumstances - they never will be. If you want to reach your goals, you have to make circumstances fit your personal way of development." Located in the heart of the German and European economy, Mannheim Business School (MBS), the umbrella organization for management education at the University of Mannheim, is considered to be one of the leading institutions of its kind in Germany and is continuously ranked as Germany’s #1.